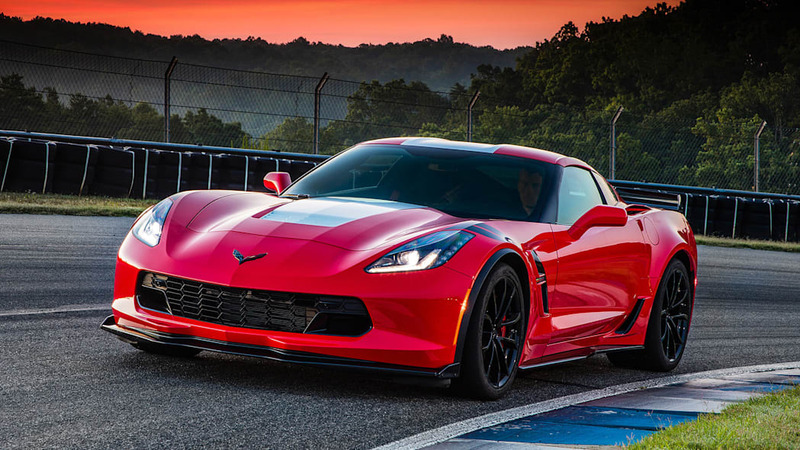 The superhuman Corvette for the everyman. Sometimes a place lives up to its stereotype. Atlanta Motorsports Park, which is about 90 minutes north of the city, was sweltering this week. 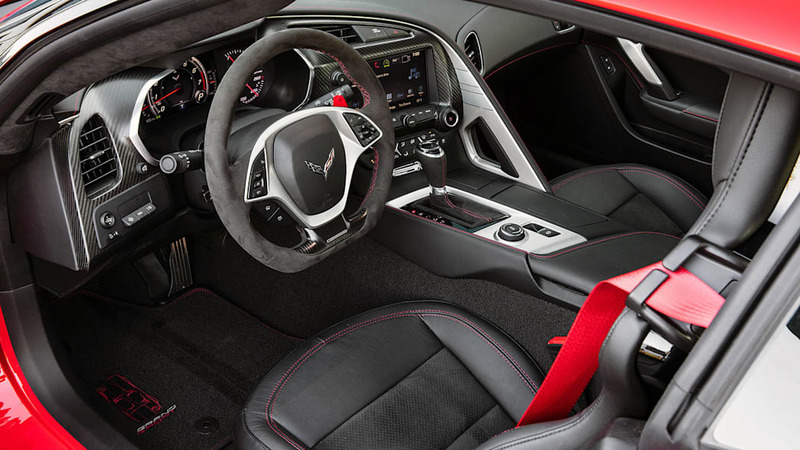 The 2017 Corvette Grand Sport's temperature display claimed it was nearly 100 degrees outside, and the humidity was almost comical. In the distance, thick thunderclouds were stacking themselves up, threatening to saturate the track and end the day early. We hurried to gulp down water and put on helmets, heading out for hot laps on a day set to broil. Luckily, the Grand Sport is always in a hurry. It's also, to cut to the chase, absolutely the Corvette you want if you have any intention of visiting a place like AMP on a regular basis. 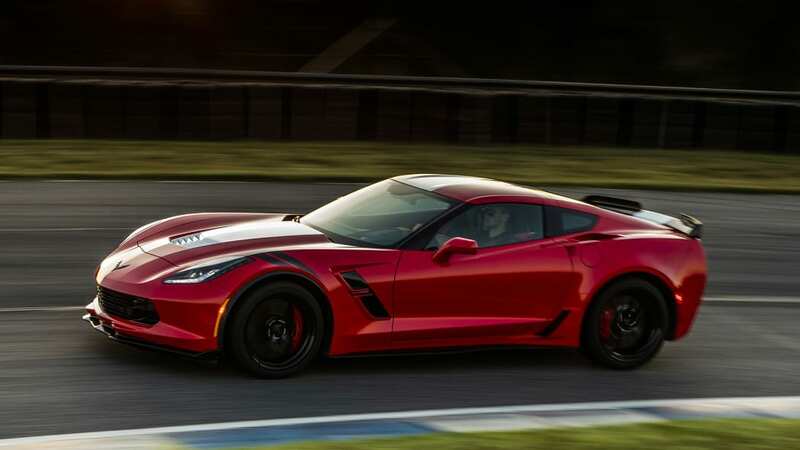 The base Stingray, a 1LT Coupe with no options, is plenty quick on the street but is missing some critical components to prevent grenading its engine or an expensive trip through the gravel trap. 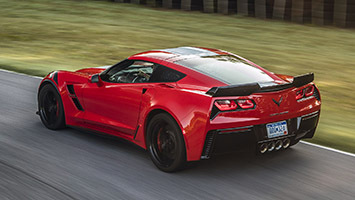 Adding the Z51 package provides that peace of mind: a performance dual-stage exhaust that adds a few horsepower, sportier suspension (and available Magnetic Ride Control, worth every penny of $1,795), a rear differential cooler, an electronic limited-slip differential, and most importantly a dry-sump oil system to make sure the LT1 6.2-liter V8 is properly lubricated under high g-loads. 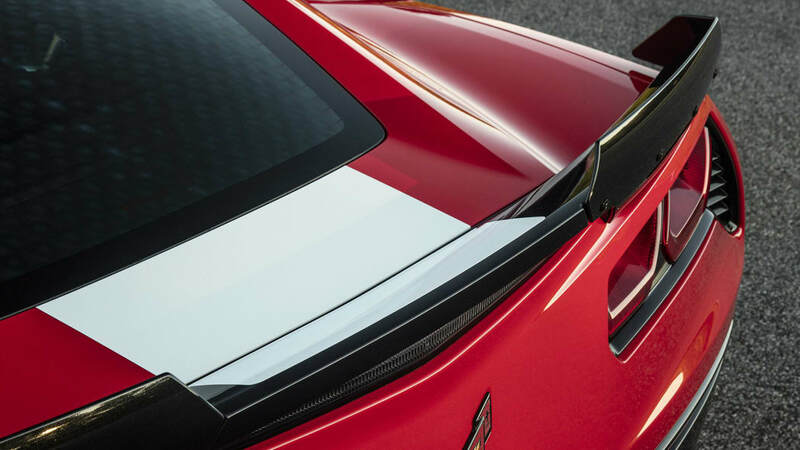 A Z51 will circle the skidpad at around 1.03 g, bringing us closer to an ideal dual-purpose Corvette. And then there's the Z06. 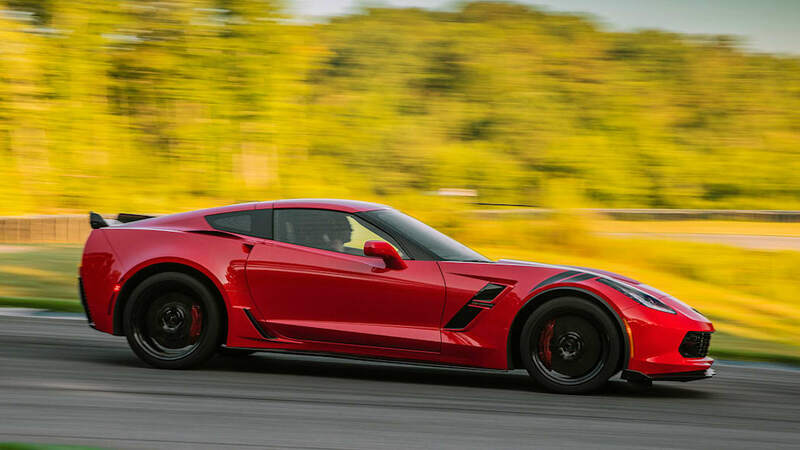 Yes, it has a fire-breathing supercharged V8 that produces 650 hp, 190 more than that Z51. This is, and I'm speaking from experience, a monumental amount of power. 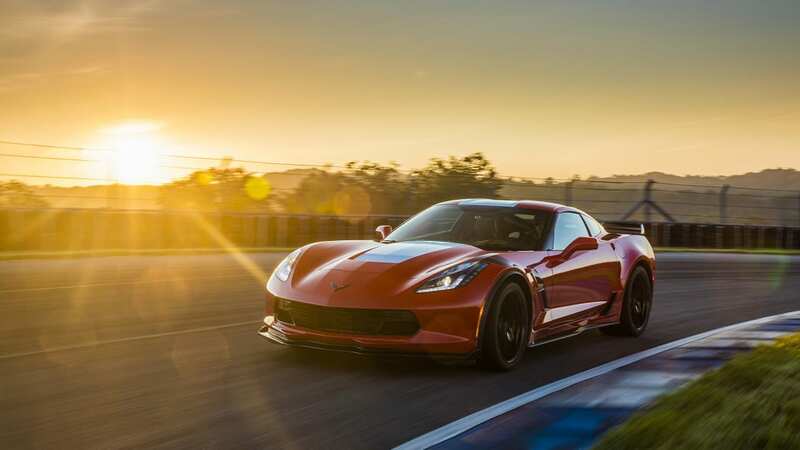 To get that power down to the ground and make the Z06 stick, Chevy adds things like standard MRC, brake cooling ducts, and significant aero tweaks even before you get into the optional Z07 package. 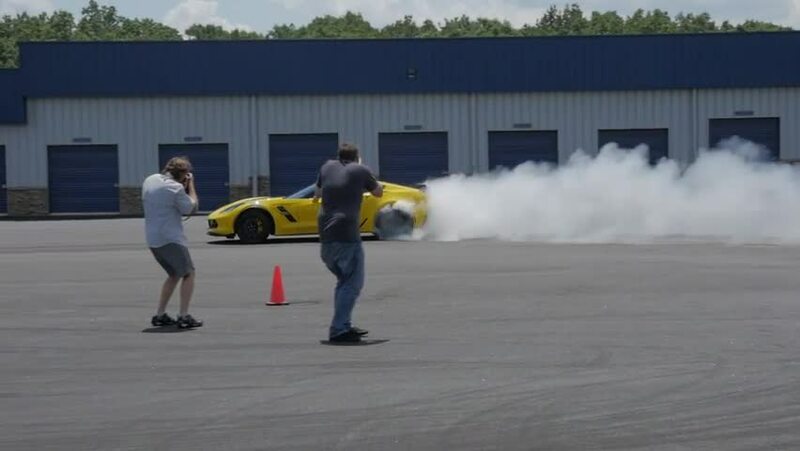 In addition to being a rocket in a straight line, a Z06 with all the fixings will circle the skidpad at 1.2 g, thanks in part to the Z07 package's Michelin Pilot Sport Cup 2 tires, which are essentially round donuts full of dark magic. 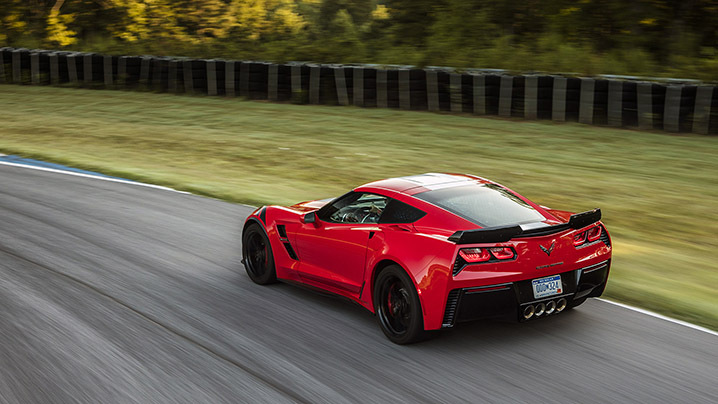 There's not really anything magical about how Chevy built the Grand Sport. 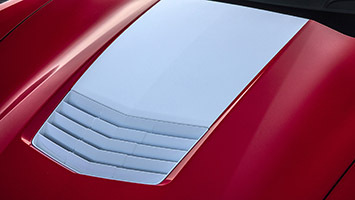 It starts with the wide body panels from the Z06, but without the taller hood since there's no intercooler to clear. The Stingray's LT1 fits fine under there, with a standard dry-sump oiling system like the Z51 has. MRC and the eLSD are standard. 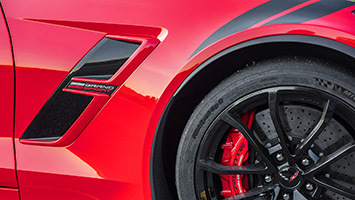 Stopping is provided by steel two-piece 14.6-inch front and 14.4-inch rear brake rotors, gripped by six-piston front and four-piston rear fixed calipers, which match the standard Z06 and are notably larger than the Z51's 13.5-inch front and 13.3-inch rear units. Want to be unfair? Call it a parts-bin special, or a Z06 Lite. Then drive it. Some elements are unique to the GS. The springs and anti-roll bars are tuned specifically for this model. 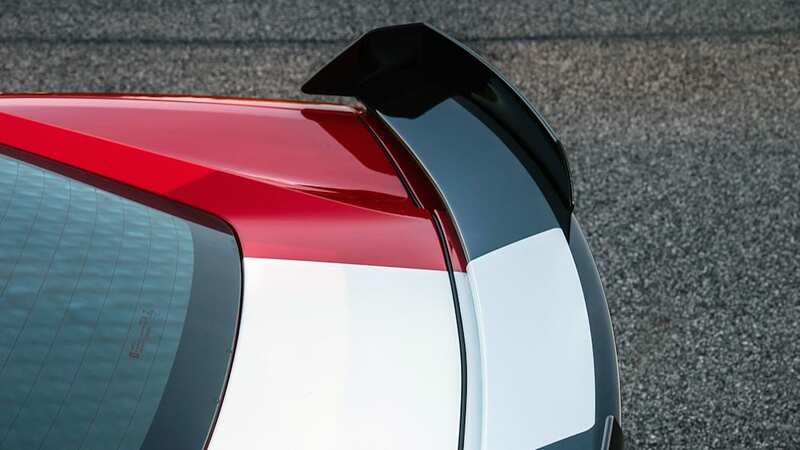 The GS's version of the Z07 package doesn't include the clear center section or tall end caps from the Z06, as the GS simply doesn't need that much downforce. 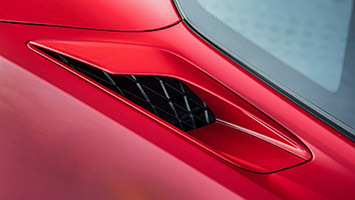 The grille design is unique, as are the fender inserts. To dress it up, you can select from 10 exterior colors and several flavors of stripes, yielding a large number of possible combinations. The C6 Grand Sport's fantastic "cup" alloy wheel design makes a return, too. Want to be unfair? Call it a parts-bin special, or a Z06 Lite. Go ahead. Then drive it. This isn't merely some incremental improvement to make an already quick car imperceptibly quicker. 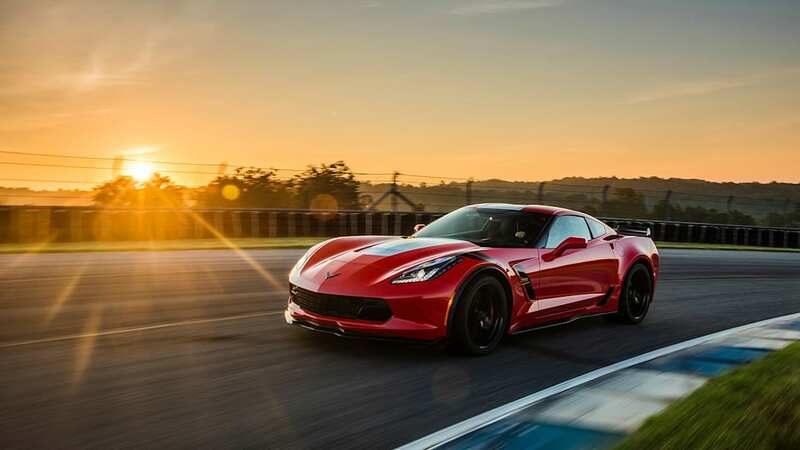 It is a grander experience – the sweet nature of the naturally aspirated V8, with its delightful throttle response, and the determined focus of a track-day car. All in something you could daily-drive. 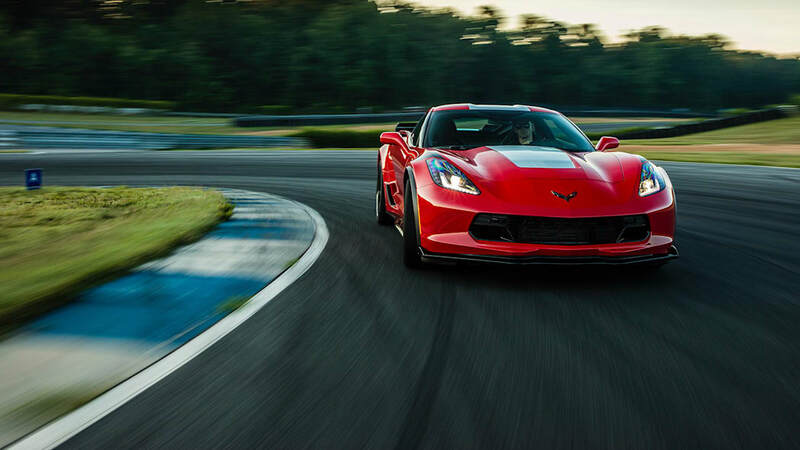 Without the Z07 package, the Grand Sport will corner at 1.05 g – a subtle improvement over a Z51 Stingray. 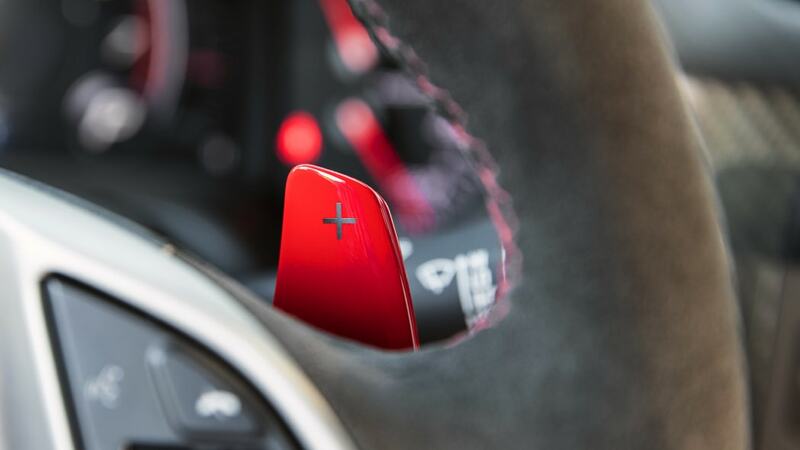 With it, it'll match the Z06 at 1.2 g. You don't want just a subtle improvement. 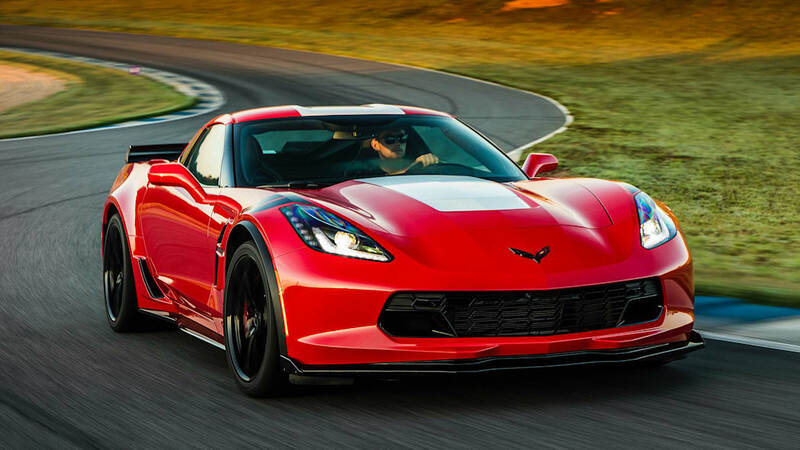 Spend the nearly $8,000 to option the Z07 package. The Pilot Sport Cup 2 tires alone are worth it, and the Brembo carbon-ceramic-matrix brakes are icing. 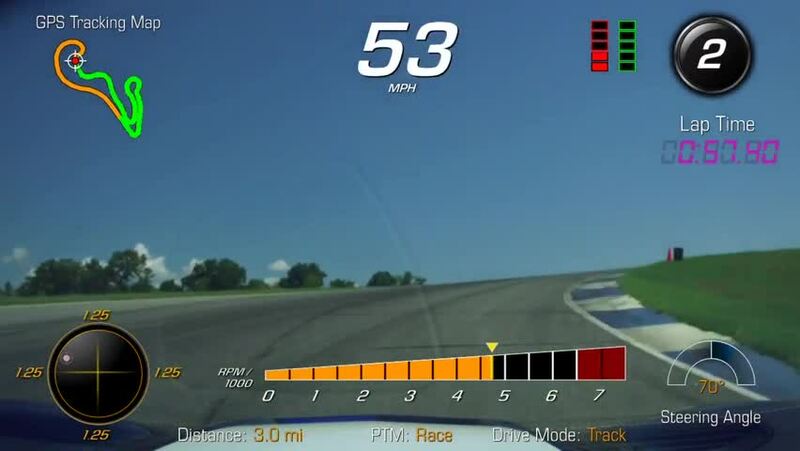 Chevy says a GS will hit 60 mph in 3.6 seconds with this package, and come to a stop from that speed in under 100 feet. This squares with our experience white-knuckling the dual "oh, crap!" handles as a very nice, very quick man named Oliver Gavin did his damnedest to make the Grand Sport quit gripping during a couple of memorable laps which you can watch below. AMP is a track with lots of elevation, and nary a gentle transition between sharp downhill segments and the next uphill one. We're talking about situations in which the car is in full compression and, simultaneously, pulling close to max g-load. Oh, and one corner that features a two-foot divot right at the edge of an apex; we were solemnly advised not to drop a wheel in. Gavin – who it must be said has won his class at Le Mans five times in the C5-R, C6.R, and C7.R – skittered around it like he was teaching a bear to tango. It's possible he was trying to break the car, just to see if he could. The GS's limits are like said bear's huge paws: It's easy not to step on them, and there's plenty of guttural growling feedback from the car if you approach them. I heard a lot of growling. All of the cars Chevy brought for track driving were Z07-equipped, and all featured the standard seven-speed manual (an eight-speed auto, which is also excellent, is an option). I got to dance with the bear after I unwelded my fingers from the grab handles of Gavin's blue GS. With the heat index so high, we were asked to pit after two hot laps to preserve some unspecified aspect of the car. It was a nice cadence: several serious minutes hammering on the GS, and a short while to reflect on its place in the Corvette pantheon. The GS has much more to do with its C6 and C4 predecessors, limited-edition models with some high-performance tweaks, than the original Grand Sport created by Zora Arkus-Duntov. That car, of which only five were built, was a highly modified race special built to battle the Shelby Cobra. The link is a nice bonus for Corvette geeks, but it'll be the performance that hooks everyone else. 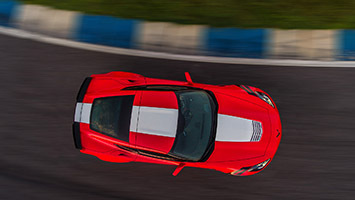 In Track mode with Performance Traction Management set to a moderate level, the GS still had some nannies around to keep drivers unfamiliar with both the car and the track from kissing a barrier backwards or worse. Yaw control is reduced but still present, which made right-foot corrections hard (but also made right-foot overcorrections even harder). The PTM gave me enough rope to experience high g-loads and the welcome feedback that comes in through those wide, ultra-sticky Michelins and GM's fantastic electric-assist power steering rack. Right-seating with Gavin demonstrated that with all the nannies off, the car can deal with massive, abrupt control inputs without getting unsettled. The limits are huge. The nice thing about all the electronics is that an owner can work up to each of the five PTM levels incrementally to fully unlock the GS's abilities. Stop anywhere along the PTM ladder and the car's still a riot. This is a chassis demonstrably capable of handling way more than 460 hp, but the LT1 didn't seem to hold the GS back on this tight, technical course. 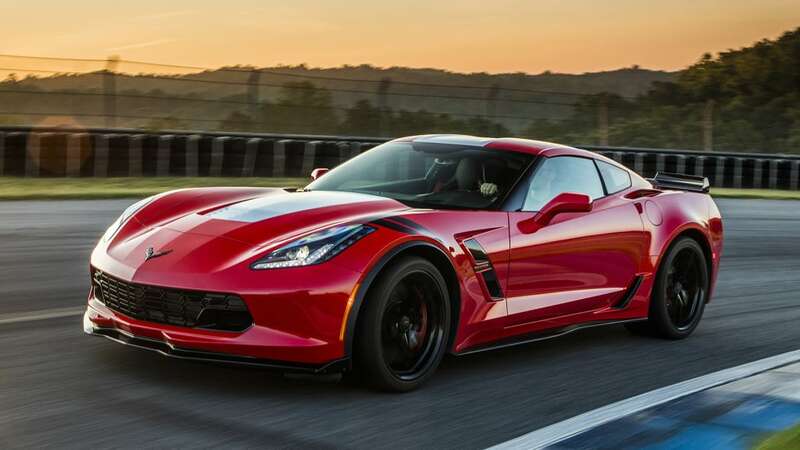 This is a car that is estimated to run the quarter in 11.8 seconds at 118 mph (in Z07 form with the auto), so there's plenty of scoot to warp the GS from one apex to another, or to feather the thing through a sweeper. On top of the C7's balance, the GS adds pliable, predictable grip and a chassis that signals its needs and desires clearly. The corner leading onto the back straight was as long as the day was hot, so it was the perfect place to put the GS on edge and let it move around a bit. I could feel each outside tire check in individually as I steered the 'Vette around with my right foot. Few powerful cars tell you everything you're listening for, but this one is a talker. So yes, it's better than a Z51, which is pretty damn good as it sits. The GS starts at $66,445, which is no small hunk of change. 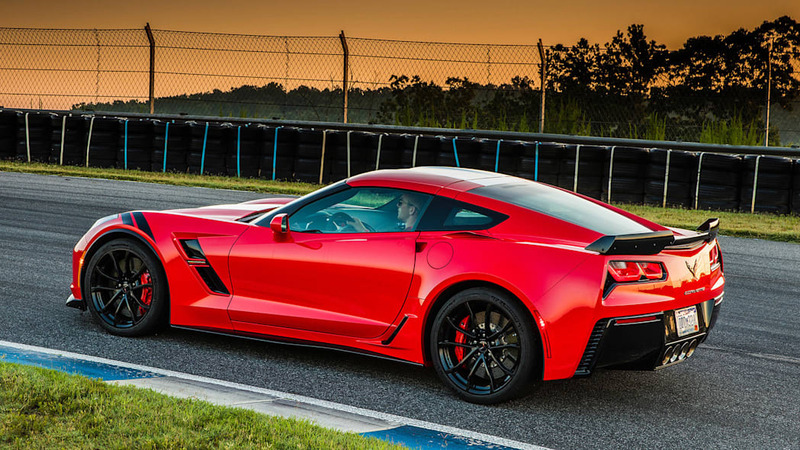 It's a flat $5,000 increase over a Stingray Z51 with no additional options. The Z07 package adds an additional (take a breath here) $7,995, which is perhaps because neither those sticky Michelins nor the carbon-ceramic brakes are cheap. I bring up pricing because you may want to know what the Grand Sport is like on the street. 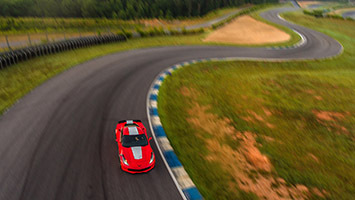 We spent a few hours on the delightful, winding Georgia roads near AMP, and the takeaway was that the road is not the place to highlight the GS Z07's subtler charms. Like a regular Z51 – a car in which I've logged hundreds of miles both commuting and exercising on public roads – it's fun, comfortable, and surprisingly practical. 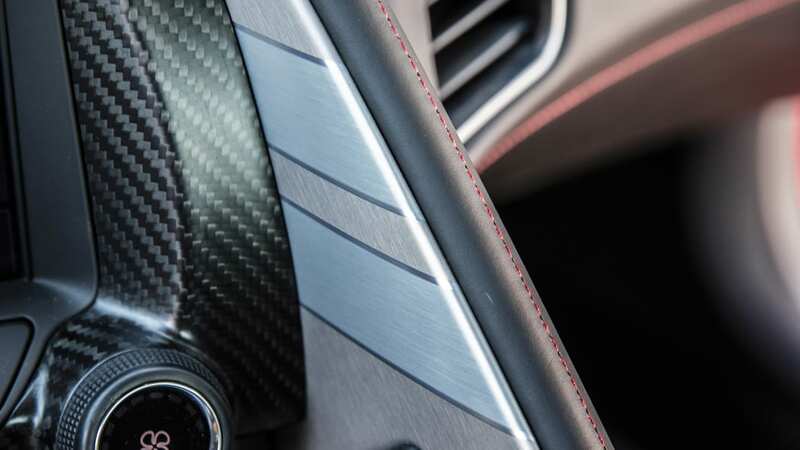 It's just that from the driver's seat, the GS Z07 is very similar to a Z51 on the road, particularly if the Z51 has the optional MRC to add that noticeable measure of extra compliance. 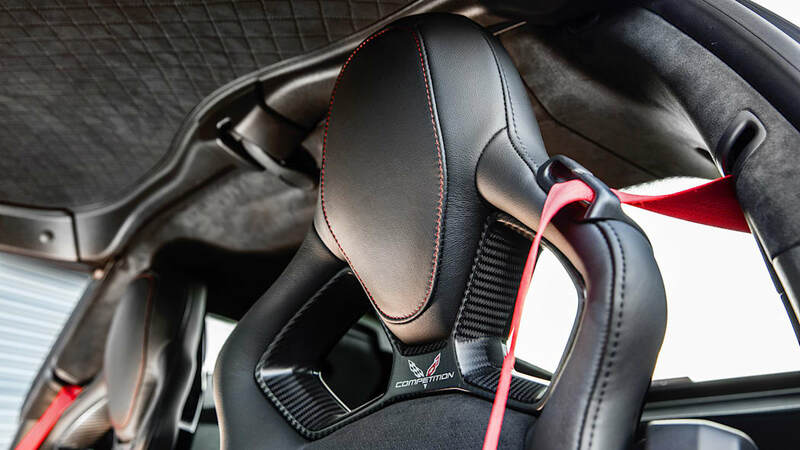 You won't be uncomfortable or dissatisfied in your GS Z07 on a long road trip, but you'll be more satisfied for the extra cash you've spent if that excursion ends at a highly technical road course. 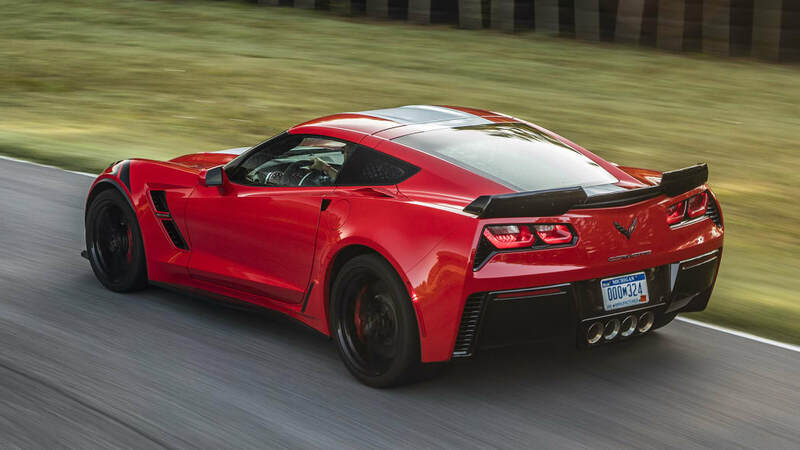 If you like the wide-body look but don't plan on tracking your Grand Sport, skip the Z07 package and be (very) happy with the MRC and fantastic Z06-aping looks. 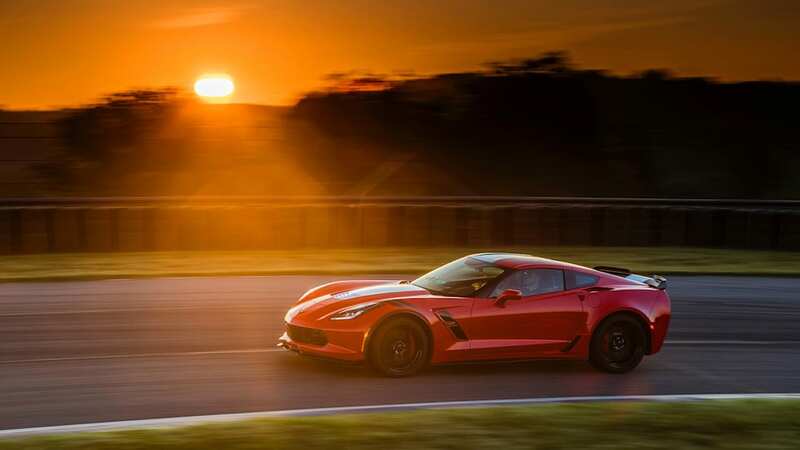 If you have a club track nearby and want a car with near-supercar performance that you'll enjoy even as it's challenging you, spend for the Grand Sport with the Z07 package.